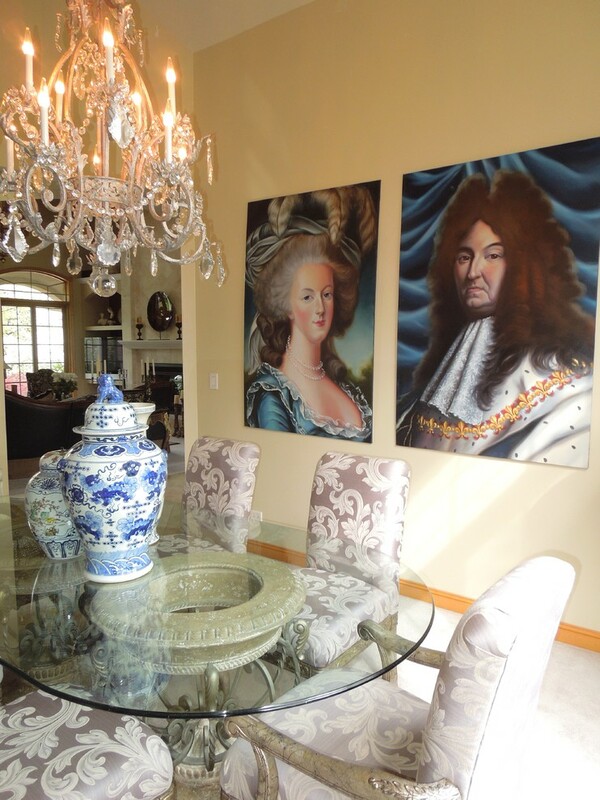 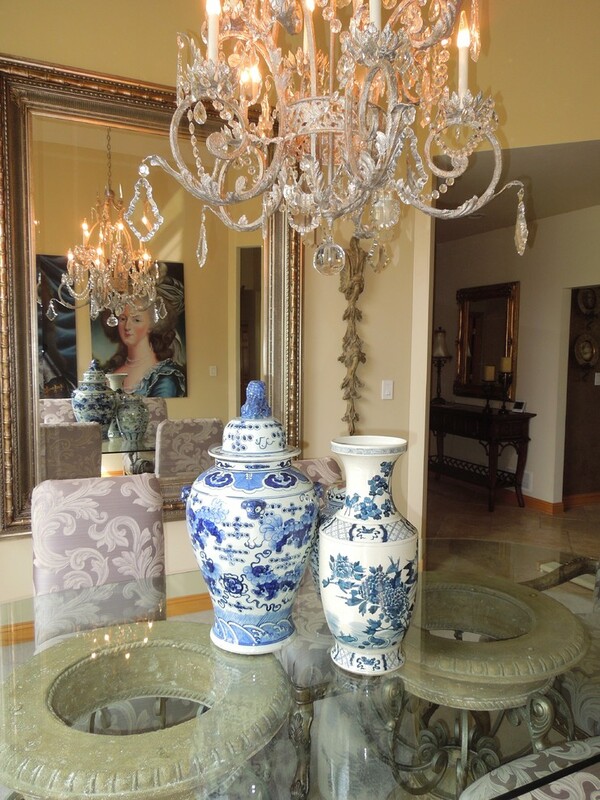 Large vintage crystal chandelier, glass top dining table with stone and metal urn pedestals, vintage paintings of Marie Antoinette and Louis XIV, huge antiqued silver mirror, blue and white urns and vase. 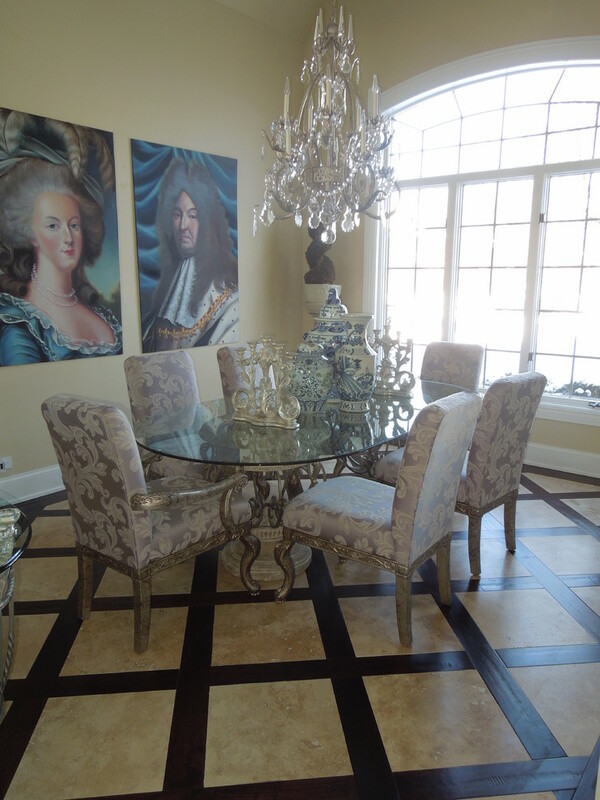 New limestone and wood floor added. 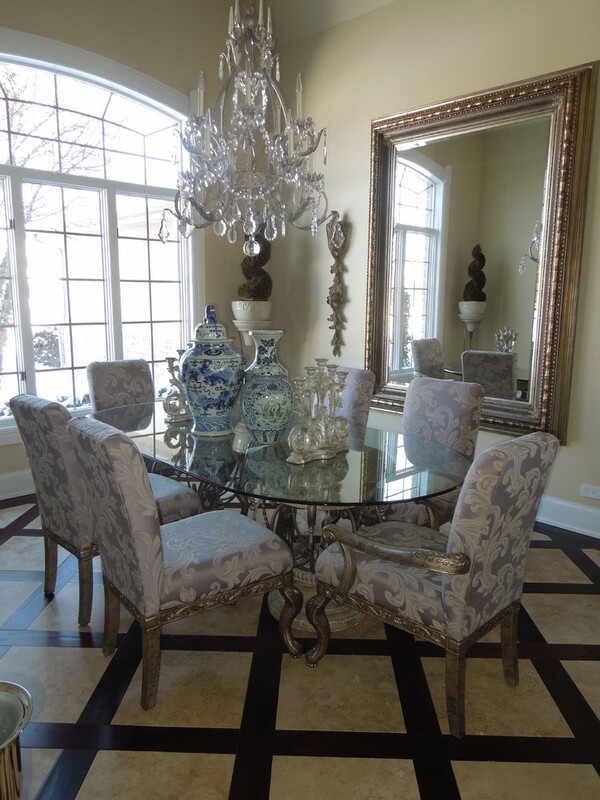 Old World, Contemporary Formal Dining Room with blue and white vases on glass dining table. 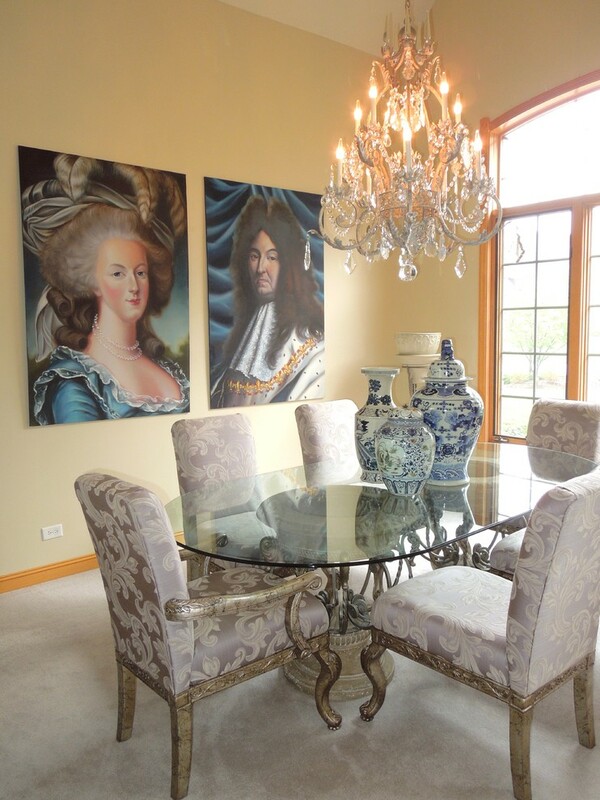 Vintage antique silver crystal chandelier. 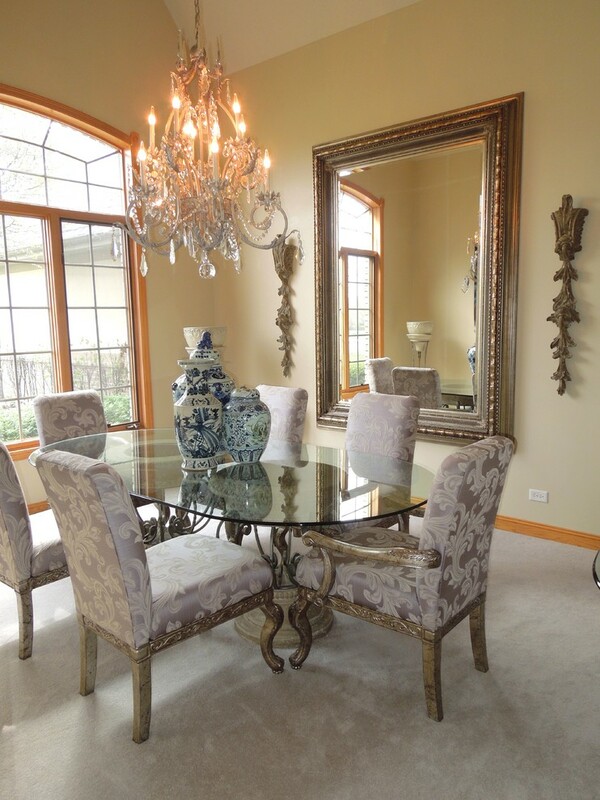 Large antiqued silver wall mirror.